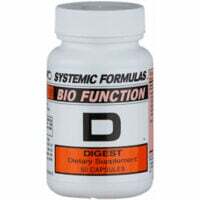 Biotics Research Beta Plus helps anyone without a gall bladder or with trouble digesting fatty foods or fat supplements. It has Ox Bile extract to emulsify fat, Lipase enzyme to digest fat, and Beet Concentrate providing Betaine for general digestion of fat. No gall bladder? 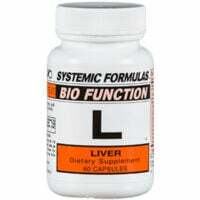 Take this with every meal, for life… While the liver does make Bile after gall bladder surgery, it does not concentrate bile or direct it into the Small Intestine when you start to eat (as your gall bladder did). 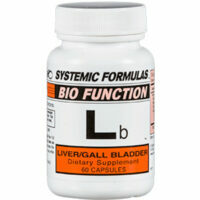 This product does a great job on its own but can be combined with Systemic Formulas Lb – Liver & Gall Bladder Support. Need help ordering or can’t find what you’re looking for? Contact us. Biotics Research Beta Plus recommended use: Take one with any meal containing fat. Ingredients per tablet: Ox Bile Extract 100mg; Pancrealipase (porcine) 50mg; Organic Beet Concentrate 100mg; Superoxide Dismutase 20mcg; Catalase (from vegetable culture) 20mcg. Cellulose‚ stearic acid (vegetable source)‚ magnesium stearate (vegetable source) and food glaze. Beta Plus supports burping, greasy stool, flatulence, low-grade nausea, elevated cholesterol, constipation, loose stool and pain under the right rib and in the scapula and neck. Ask your doctor for an abdominal ultrasound to check for Gallstones. Payment note: PayPal accepts credit cards on checkout. Look just below the PayPal sign-in to “Pay By Debit or Credit Card”. No PayPal account is needed.